Etch Red is an exciting and great-sounding filtering effect based on DCAM circuit-modelled technology and now available as a Reason Rack Extension. 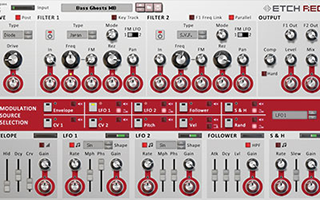 Etch Red's dual filters offer 38 available filter responses, realistic audio-rate FM, flexible routing, additional drive & compression stages and unique modulation with 2 LFOs, envelopes and more. 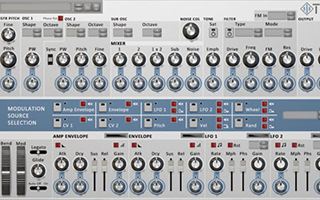 Tres is a monosynth Rack Extension for Reason featuring DCAM circuit-modelling technology and advanced TransMod modulation. Tres' complex oscillator timbres are sculpted by filter and VCA sections full of warmth and characterful tone. All important parameters can be modulated with internal LFOs and envelopes or external CV sources to produce fresh and original bass, lead, percussion, drone and FX sounds. Tres comes complete with over 200 presets curated by Nucleus Soundlab. 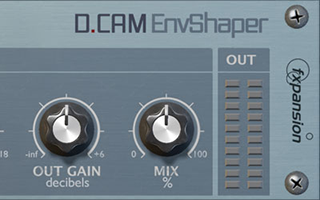 DCAM EnvShaper is a powerful processor for controlling transients in your Reason projects. 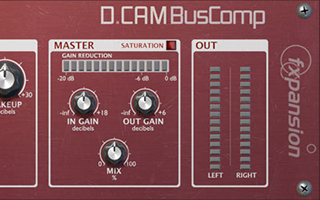 DCAM BusComp delivers high-end studio-quality bus compression directly in your Reason environment. Designed for drum and master bus duties, it adds punch, depth and cohesion to your mixes while keeping it sounding smooth and natural. 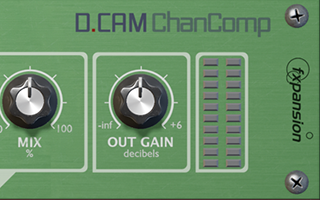 DCAM ChanComp is a circuit-modelled channel compressor based on a classic FET-based limiting amplifier design, perfect for drums, bass, vocals and all kinds of other signals.